First, it's this week's Christmas card for CSAYL. The challenge was to use *non-traditional* Christmas colors. I went with brown and silver. I chose to play with these large Chipboard Snowflakes that are actually huge (6x6) ornaments used as decor. They come in a 6 pack from the Michael's $1 section. I used one as a backdrop just for fun. 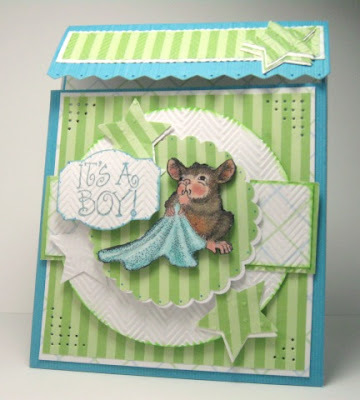 The snowflake Glitter DP is from a brand new Anna Griffin line, The BG is DCWV CS Glitter DP, The interior Paper is by SU. Small silver snowflake is a Martha Stewart dimensional sticker. I adorned it with a rhinestone star. The only stamp used here is the sentiment which comes from the SU set called "To You & Yours". Ribbon & additional rhinestones complete this busy card. Lots of textures on this one! 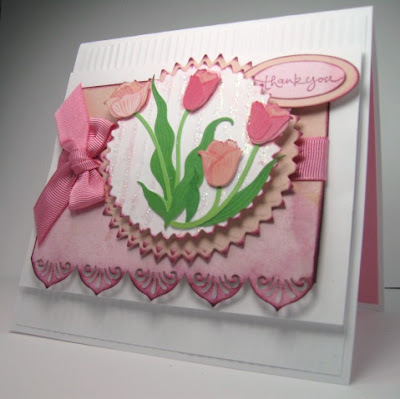 Layering, Dry Embossing & Crimping make up this card!